The Maharaja Express Train is that glorifying name that is etched in the minds of almost all travel lovers of the world. 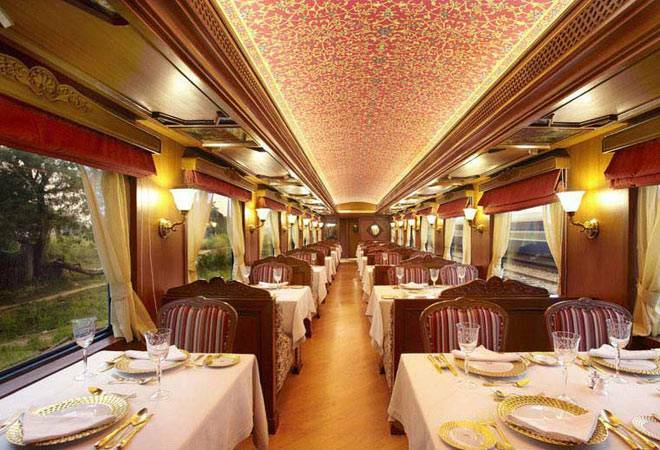 This train has been awarded the “World’s Leading Luxurious train” for a consecutive period starting from 2012 to 2016. The Maharaja Express has given an opportunity to the travelers to explore the incredible heritage of India. It is a journey that one can cherish it for a lifetime. One can collect the most cherished memories that can fill the life with full of lushness. It originally flagged off in 2010 as a joint venture between the Indian Railway Catering and Tourism Corporation Limited (IRCTC) and Cox and Kings India Limited. Today, it provides contemporary and delightful traveling to seven Pan India destinations while crisscrossing its way through various terrains. To provide comfortable onboard experiences to the travelers, it provides live television, internet services, attached bathrooms, dining, cars, lunch and even souvenir shops. It makes one feel like Maharaja on wheels. It gives one a king like feeling. The Maharaja express provides a luxurious presidential suite that contains restaurants and lounge bar. The train is also equipped with a breath-taking library and a souvenir shop. At a given point of time at the dining table, there is a seating arrangement of 42 people. They are served with an array of delicious cuisines to the travellers. With wondrous interior and unparalleled hospitality, it gives the dinner like a royalty of the maharaja on board. The Maharaja Express Train Tour is limited carry a total of 84 passengers only. The Maharaja express travels from Mumbai to Delhi and covers a vast area that includes Ajanta, Udaipur, Jodhpur, Bikaner, Jaipur, Ranthambore and Agra. This covers an area of about 2591 km approximately. The train travels through the kingdoms of the Rajasthan to the Western Ghats of Maharashtra. It then moves to the holy Ghats of Varanasi and from there it moves to the blissful Khajuraho temple. The Maharaja Express is never the else an awesome experience that takes a person into the heart of the Indian heritage.